We are a friendly club that welcomes new members of all ages and abilities. We have 6 floodlit outdoor courts, access to an indoor multisport dome with 2 courts and a clubroom with changing facilities. Coaching, either in group sessions or one to one, is available from our team of LTA qualified coaches. 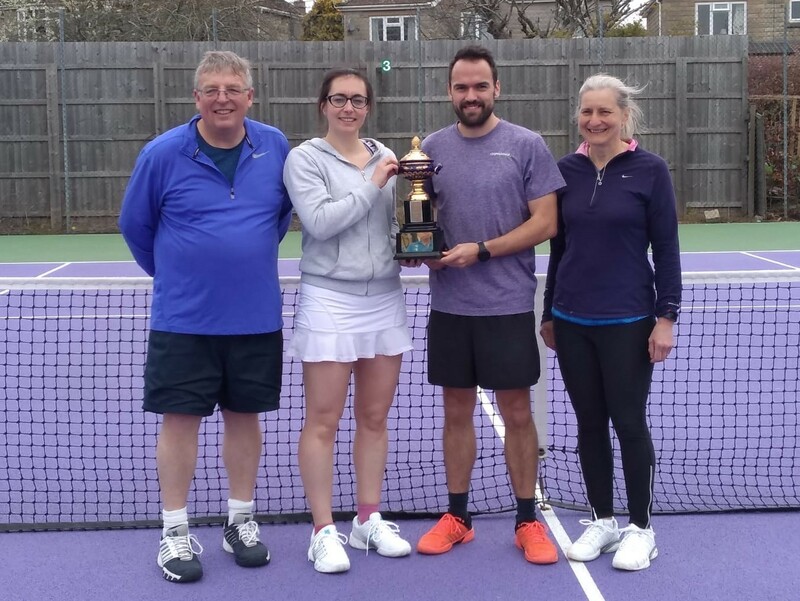 Club tournaments take place throughout the year, with mens, ladies and mixed teams entered in the local leagues for those who like to play competitive tennis. Tennis club members are automatically members of Chippenham Sports Club, the premier sports club in Wiltshire. The Sports Club includes sections for cricket, hockey, bowls, netball, harriers etc. It has a fully catered bar which provides a social hub as well as hosting many social events throughout the year, including winter skittles. Please come and help – many hands make light work! At the end the club provides a round of drinks for volunteers. Huge congratulations to Ed Opie who won the Wiltshire Men’s County Championships singles competition held at Marlborough this weekend. Meanwhile, at the club, 8 ladies and 8 men enjoyed our social doubles Seagry Cup competition – the leading ladies were 1st – Hannah, 2nd – Helen, 3rd – Tham, 4th – Wendy. and for the men; 1st – Mike, 2nd – Kim, 3rd – Charles and 4th – Alun. I wont mention the winner of the wooden spoon! John and Ben will be running these sessions together – hitting and then match practice. The sessions will cost £5 – pay on the night. But note that on 20th March only 4 courts will be available this week due to a rearranged league match. To provide first class facilities, coaching and support to enable members, of all ages and abilities, to get the most out of playing tennis and being part of our club.